Ah, Avalon: music for Friday afternoons where the promise of a weekend’s clean slate beckons; for flawless first dates with all chemical synapses of both participants firing away; for driving the streets your hometown, everything cast in an absurdly nostalgic, comforting glow; for walking through thickly-settled woods only to suddenly arrive at a scenic, dramatic coast; for high rise balconies with a view of millions of twinkling lights below and beyond; for middle-of-the-night epiphanies; for Saturday nights that you never want to end; for languorous, cozy Sunday mornings at home; for moments stuck halfway between despair and desire; for all that is beautiful, majestic, romantic, exquisite. 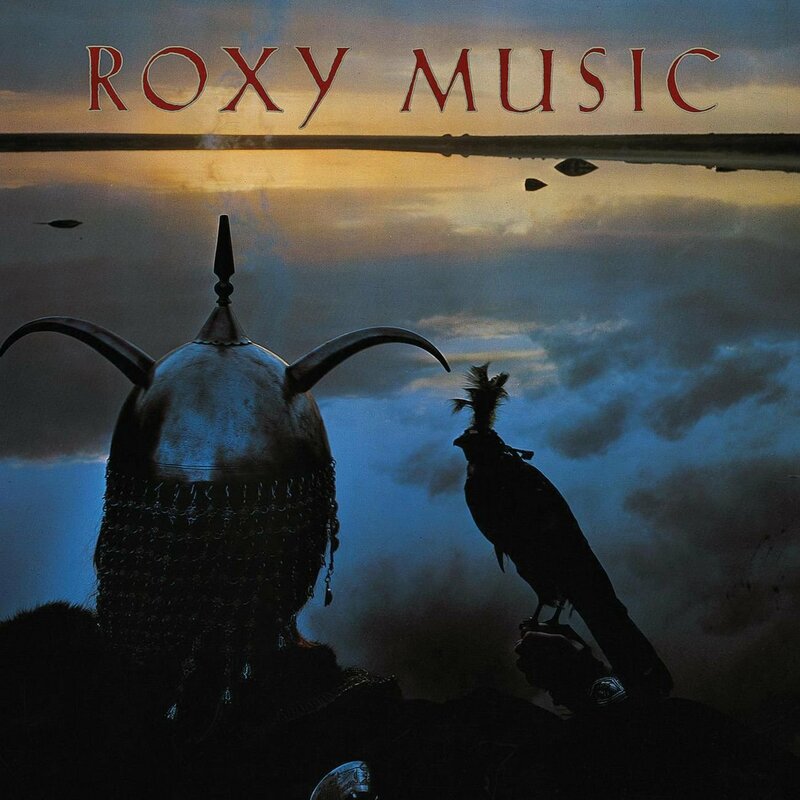 We last encountered Roxy Music on their fourth album, Country Life, where vocalist/songwriter Bryan Ferry balanced transcending the ordinary and the mundane with a sense of longing for an unattainable ideal. Eight years later, he arguably came closest to obtaining the latter on this, the band’s eighth album. However, the road from Country Life to Avalon was hardly straightforward. After the band’s fifth album, Siren (1975) gave them their only top 40 hit in the US (“Love Is The Drug”), they took a four-year hiatus. The records that followed, Manifesto (1979) and Flesh + Blood (1980) downplayed Roxy’s experimental side for an evidently more smoothed-out sound, which might’ve angered some fans at the time but seems logical and inevitable now—for all their greatness, the first five Roxy Music albums are all of their time, and to continue that exact approach at the dawn of the 1980s would’ve turned the band into an anachronism. While not as excitable as, say, “The Thrill of It All” or “Prairie Rose”, songs such as “Dance Away” and “Same Old Scene” were no less passionate; they also bespoke a newfound maturity that suited Ferry’s ennui very well. What makes Avalon endure and cohere more than the previous two albums is Ferry’s willingness to push that suaveness and warmth as far as he can (before it would peter out into mood music) and sustain it. The edgy, hyperactive nature of earlier Roxy has entirely vanished; the guitars and saxes remain vital to the band’s soundscapes, but here they’re buoyed by such contemporary instruments as period synths and the occasional drum machine. The arrangements are at once simple, but distinctly layered—on headphones, one gets a keener sense of such flourishes as the sleigh bells on “India” or the juicy synthesized bass on “The Main Thing”. Avalon is lush but not busy, sumptuous but not opulent, delicate but not fragile, tranquil but not boring. You could say the band lays all its cards on the table with the album’s opener and biggest hit, “More Than This”: a two-note clarion call memorably kicks off this anthem of sorts, which succinctly sums up Ferry’s philosophy. In response to the song’s title, he concludes, “There is nothing.” He doesn’t let on as to what “this” is, only that it’s unsurpassable. Whatever it is, it allows him to be “as free as the wind” and he concludes, “who can say where we’re going?” After years of searching and scrutinizing, Ferry’s found something profound. Is it love, peace, wisdom, happiness? Well, who can say? The lengthy instrumental outro suggests there are no more words, only feelings—a key to understanding Avalon as a whole, for it gets by on sensations and abstractions rather than specifics. Ferry will never tell us exactly what “The Main Thing” is, but that’s okay, because all one needs to hear is how important it is to him. The album’s other best known song is its title track, a slow, enigmatic meditation on making contact with that ideal, the sublime, or whatever you want to call it. A prime example of Ferry communicating meaning through sound more than the actual words, “Avalon” gets by mostly on Ferry singing the song’s title, his croon sweetened by some prominent female backing vocals. It’s a pleasant tune and an undeniable standard for sure, but it lacks an urgency present in much of the rest of the album. “Avalon” was an easy hit—you can imagine thousands of listeners appreciatively utilizing it as a seduction tool. “While My Heart Is Still Beating”, on the other hand, doesn’t lend itself so neatly to such a task, and for that is infinitely more interesting. Paced at a slow crawl and enhanced by sax triplets, piano trills and a suitably pulsating bass, the song finds Ferry deliriously heartbroken, pleading, “Where’s it all leading?” like a man who knows the clock is ticking. In other words, Ferry at his best. Elsewhere on Avalon, both “The Space Between” and “The Main Thing” are spacious, immaculate and somewhat funky, repeating their melodies on endless loops, featuring call-and-response choruses between Ferry’s vocals and Andy Mackay’s sax riffs (providing a template INXS would take to the bank as the decade wore on). “Take A Chance With Me” is more musically adventurous, beginning with over a minute of seemingly free form improvisation before locking into its accessible groove, complete with crystalline, ringing guitar hook. “To Turn You On” tempers a well-sculpted wall of sound with Ferry’s most direct and euphoric chorus. However, in the album’s context, it’s merely buildup to “True To Life”: singing of an undisclosed “Diamond Lady”, Ferry muses on, well, everything, I suppose. He distills any number of thoughts or queries to a few phrases that scan poorly when isolated (“Dancing city / now you’re talking / but where’s your soul?”) but sound terrific as verses that all lead to the same conclusion: Ferry sighing the song’s title and evoking so much with those three little words. Closing track “Tara” is more of a grace note than an actual song: a brief, lovely instrumental with Mackay’s soprano sax playing over a mélange of orchestral synths and the sound of crashing waves. Like Avalon as a whole, it feels like a conclusion and for Roxy Music, it was. Although the band reunited to tour in 2001 with rumors of working on new material, they never released another album. Ferry focused on his solo career, although nothing he did ever matched Avalon’s popularity or achievement. And yet, as much as Avalon plays like the culmination of a decade-long quest, there’s enough optimism and renewal in it to suggest that it’s also an album about beginnings. Just because Ferry has presumably found what he’s looking for doesn’t mean the quest itself is over—life goes on and Avalon is really a forward-looking album, which may explain why, despite having reached only #53 on the charts, it remains Roxy Music’s sole Platinum-certified album in the US and arguably its most iconic one. Up next: Madness (not the band).